Dang it, I've already used up all my "G" adjectives for the day. 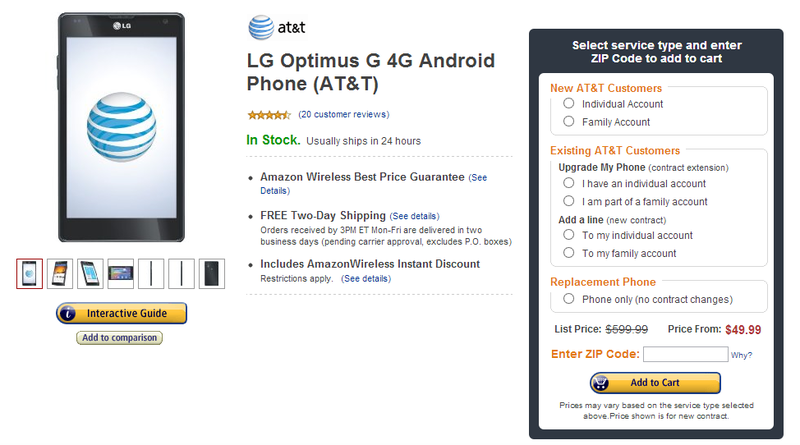 The internet is not gonna leave me be, though, as the LG Optimus G 4G gets a good ol' grice grop to $49 on Gamazon Gireless. Gee, what a deal. The previous best offer we'd seen for this beast of a phone was $99, also via Amazon. 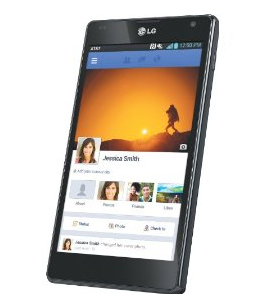 $49 is a downright bargain for this flagship handset. Both new and upgrading AT&T customers are eligible for the lower price point, as long as they're signing up for a new 2-year contract. Of course, you probably knew that already. While LG's Nexus 4 is still seeing supply shortages, and likely will until mid-February, this is a great alternative if you don't mind contracts and manufacturer skins.